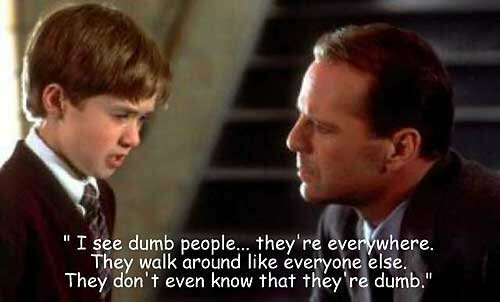 Real life can be just as daft and stupid too. Occasionally i stumble across noteworthy examples which really ought to have a wider audience… and this is where they’ll find their 15 minutes of fame! Expect randomness, bizzarity and the odd spot of hilarity – i’ll post anything i personally stumble across here but please feel free to send me your own submissions, which i’ll display with pride and all duly credited to the originator. Regular readers will be aware of my recent, disastrous PC meltdown, and most of us, i imagine, will someday fall victim to the dreaded failure to end all failures, when no amount of shouting, tears, wringing of hands and gnashing of teeth will bring our precious data back… at which point we turn recovery software and all those backup copies that we we religiously keep to hand for just such an emergency. Data recovery software of the sort that you and i can afford is rarely of any use at all, nevertheless, once we’ve had occasion to bemoan the fact we had no coherent disaster recovery plan, many of us will decide never to be caught out again and spend a fair bit of time researching our options, should another crisis befall. Frankly, some of the software out there is pretty baffling. Here’s one solution i discovered at my local Lidl’s – of all places – but don’t ask me what it does, because i haven’t a clue. 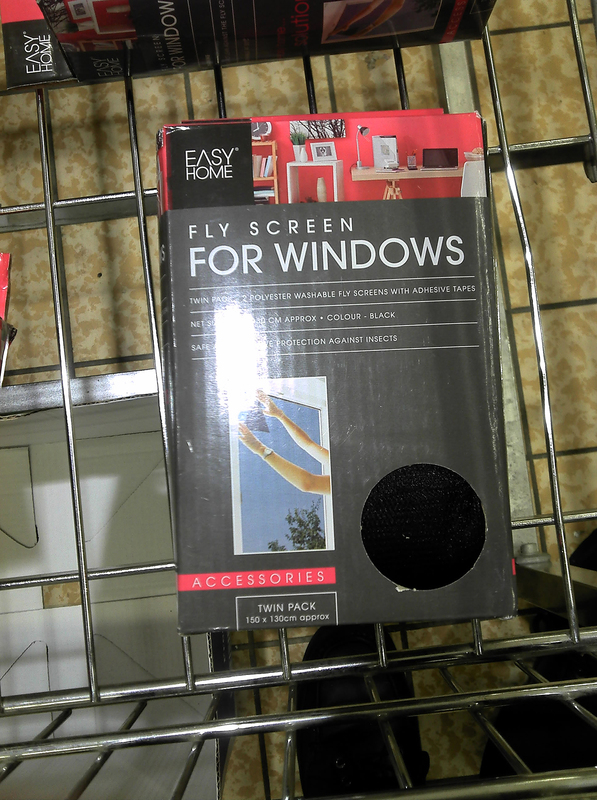 Flyscreen for Windows – what every PC has been waiting for. Unfortunately the box isn’t terribly forthcoming about minimum system specs, or what it’s actually supposed to do, although it does bear the rather bemusing legend that it’s ‘washable’! Now, i don’t know about you, but i’d hesitate to pop my computer in the washing machine, even on a cool wash, no matter how good the software purported to be. Without knowing exactly what it does – i’m guessing some sort of bug fixer – i’m not about to recommend Flyscreen for Windows, but if anyone else has used this software, i’d love to hear from you! Before you accuse me of being totally naive, i did go to one of those consumer review sites to see if anyone could give me the low down on the product, but to be honest, i wasn’t overly impressed with the sort of reviews they were giving…. 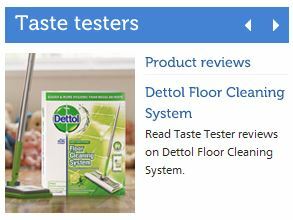 What sort of person taste-tests floor cleaner, for crying out loud? i mean, ‘lemon fresh’ might sound tasty, but i’m pretty certain it’s not fit for human consumption! 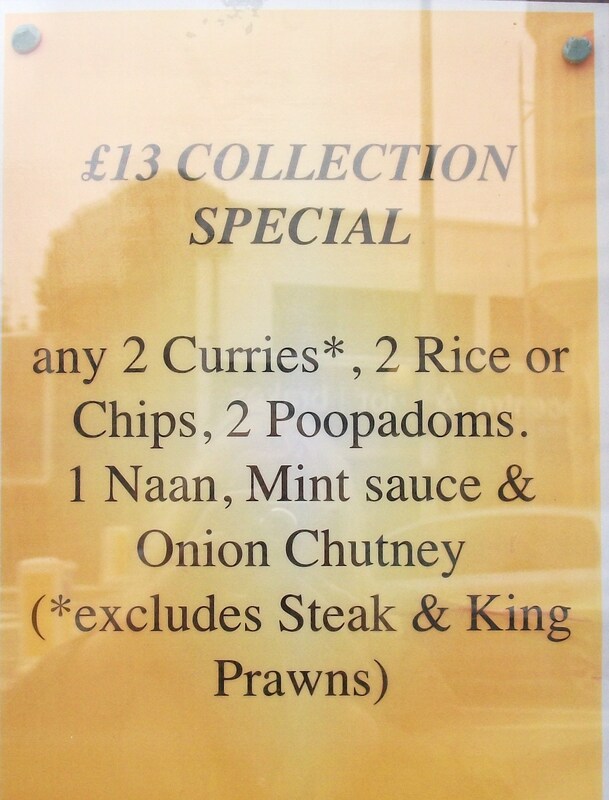 Then again, my local Indian takeaway isn’t the best when it comes to offering tasty ethnic treats. To be fair, they do offer a comprehensive menu – some would say far too comprehensive… Have you ever been out for a meal and been so bewildered by the range of dishes on offer, you’ve not known what to plump for? 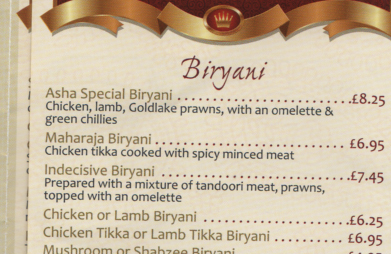 It seems they’ve even thought of that – how about the the ‘Indecisive Biryani’? The perfect choice for the undecided diner… or perhaps you’s prefer something else, maybe? Whatever you choose, i’d advise you to steer clear of the side dishes – i can’t help thinking you might be spending a rueful spell on the loo afterwards, if you decide to go for the ‘poopadoms’! 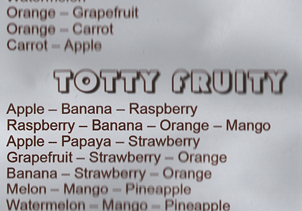 And, for the discerning gentleman diner, can i suggest you round off your meal with a cheeky little aperitif in the form of one of the wide variety a naughty, but nice, fruit juices on offer? 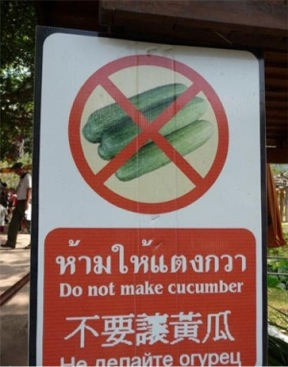 But not if you’re a dinosaur, in which case i’d counsel you to stay well away from the curry, and the sprouts and beans too because they could – quite literally – be the death of you. Forget giant meteors, alien intervention or the supremacy of small furry creatures; none of these were responsible for the extinction of the mighty sauropods. 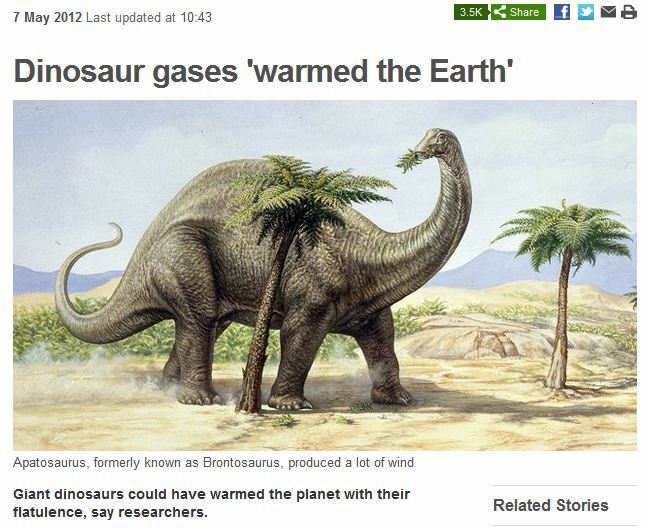 In fact, it was good old global warming that sent them to their doom… and it was all of their own doing, according to no less an authority than BBC Nature! So, if you ever find yourself stuck in a lift with a T-Rex, just pray he doesn’t let one rip: there are few things as dangerous as a Jurassic fart!